I love regularly using hair masks to deep condition my hair so I was shocked when chatting to a friend recently who claimed never to have tried one. I had a sample of Trevor Sorbie Professional Beautiful Brunette Warm Rich ﻿Intensive Treatment, £5.10 for 200ml, in my "to trial" box which I immediately gave her to try out. My friend has the sort of naturally straight, thick, gorgeous chocolate brown hair which Cheryl Cole would probably kill for. It always looks super healthy though she claims to do very little to it, other than use Tigi Bedhead products. 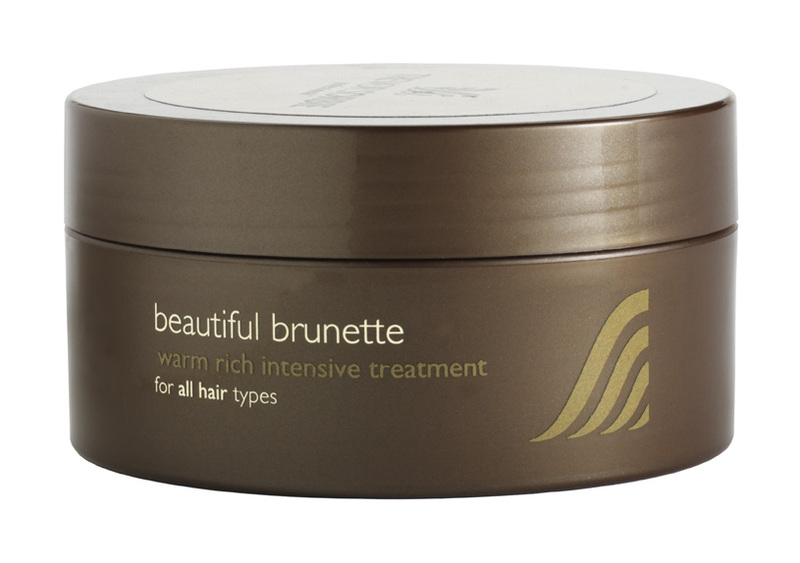 So, what did she think of Trevor Sorbie Professional Beautiful Brunette Warm Rich Intensive Treatment? The packaging is a bit dull and uninspiring but the instructions are clear and easy to follow. The scent is a little boring but pleasant enough. The texture is decidedly offputting. However, once you get past the gooey texture, it's a doddle to use. I simply combed it through and left on for 5 minutes. I was surprised that you don't have to leave it on for very long but was pleased as it fit into my routine easily. The difficulty came in rinsing it out due to the heavy coating feeling in my hair. Even after some time, I still wasn't sure if I'd rinsed all of it out or not. Once my hair was dry, it felt soft, silky and manageable. However, I couldn't notice any huge difference in the appearance compared with when I just use conditioner and for this reason, I probably wouldn't use it again. Would I recommend it? Probably not. It's a nice product but nothing special. A little bit "meh" and I didn't feel that there was anything to differentiate it from normal conditioner other than the odd texture. Good review. I picked this up as my third product in the 3 for £10 at Boots today and was wondering what everyone thought of it - I have really stubborn, frizzy hair, so hopefully it works for me!